It's important to have a resume that effectively highlights your qualifications and background when looking for a teaching job. Experienced teachers should typically begin with a summary of qualifications, while new teachers are better served by a chronological resume. To access and edit the resume templates provided here, simply click the corresponding image to download the documents (note that you must download in order to keep the formatting). See this guide to printables if you need help with the documents. 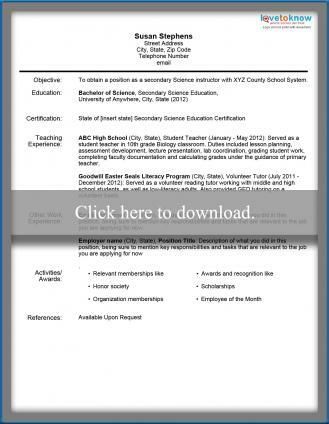 This sample resume demonstrates that the candidate has teaching experience and is involved in other activities. It begins with an objective statement followed immediately by a summary of qualifications that points out specific expertise related to teaching experience. This example is specific to an elementary school teacher, but the same style can be used for1all levels of experienced educators. 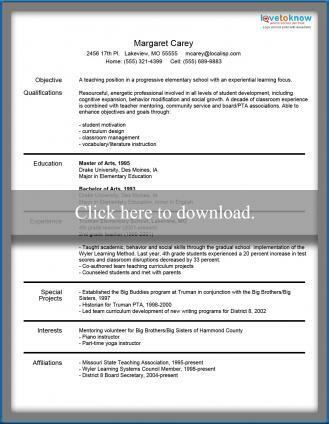 Click here to download a sample resume for an experienced teacher. The sample resume below is designed to meet the needs of someone who has just finished earning her degree or teaching certificate and who is looking for a first teaching job. The example is specific to an individual who is credentialed to secondary education, but the same format will work for elementary and early childhood education teachers. Click here to download a sample resume for a new teacher. Note: The education and certification sections are presented immediately beneath the job objective. Teaching experience is presented in a separate section above other work-related experience. This is critical, even for those whose only teaching experience is student teaching. If you have volunteer experience that involves teaching, include that as well - being sure to specify that it is volunteer experience rather than a job. 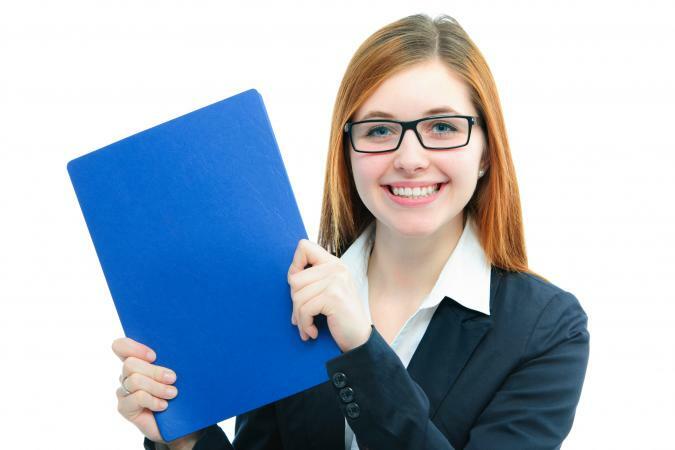 Make sure that your finished resume is formatted in a skimmable, easy-to-read manner. Emphasize skills, experience and traits specific to the job you are applying for. Highlight those aspects of your background that will help you stand out from other applicants. Non-teaching work experience can be included, but should not be presented before classroom experience. Include volunteer work that you have done, particularly anything that involves teaching, developing training materials, or working with young people. Include any professional or civic organization memberships that demonstrate your interest in growing as a professional, working with young people and giving back to the committee. Avoid including anything that is not factually correct. Make sure there are no typos or grammatical errors on your resume. There is no one 'right' way to create a resume, as long as the finished document is eye-catching, professional-looking and effectively conveys your qualification. Layout style choices fluctuate based on personal preference, so review several examples before deciding exactly what format to use. If you'd like to use a fill-in resume template rather than one of the options provided here, consider using one of these blank resume templates instead.